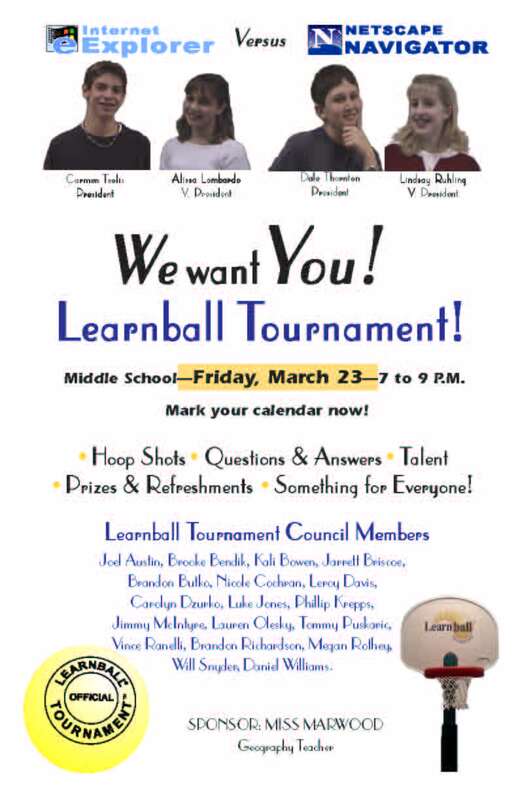 A Learnball Tournament is a large-group Learnball contest held in the local civic center, firehall, school auditorium or gymnasium during or after school using all the standard Learnball classroom steps plus additional large-group procedures: team banners, cheerleading, half-time talent-show entertainment and refreshments. In unique fashion, all members of the large audience become team members who contribute to the team score—behavior, answers to questions, and hoop shots. Most important, the large Learnball Tournament audience provides much, much more reinforcement for school goals—good behavior, attendance, and learning—than can possibly be created in a small-group classroom situation. 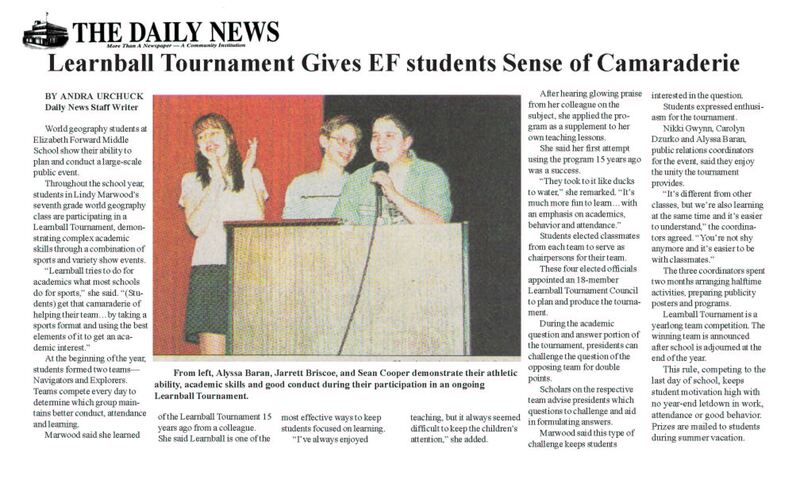 The enthusiasm for Learnball Tournament activities among rank-and-file students exceeds their support for varsity sports because audience members are participants, not just spectators. 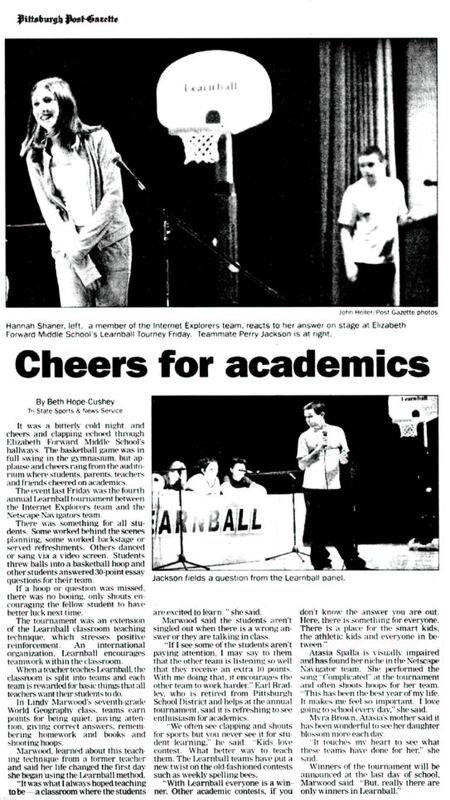 Further, Learnball contests deal with core curriculum as well as social and job skills which students see as vital to their long-term success. Tournament participation, along with membership in worldwide Learnball League International and a classroom Learnball team, produces large-scale reinforcement for good school habits in a way that once was common in small towns. Inhabited by members of large extended families, they provided students with a tight-knit social order which now is virtually nonexistent. 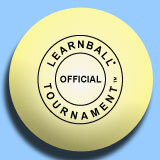 Learnball membership, especially Tournament-team membership, simulates the old social structure.